If you are using Delphi XE5 and you need your FireMonkey mobile application to connect to a remote mySQL database, but you are not sure which conduit (FireDac, DBExpress, etc.) to use, then stop right there! The standard delphi connectivity packages such as Firedac and DBExpress provide no support for connections to a remote MySQL database from your FIreMonkey mobile applications. 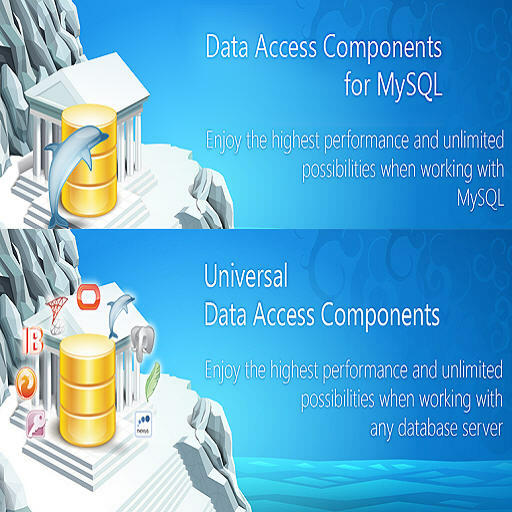 If you want to create truly cross-platform mobile solutions using FireMonkey that need to connect to a remote mySQL database, then you will need a commercial component package such the two database connectivity solutions: myDAC or UniDAC offered by Devart. Both MyDAC and UniDAC works with MySQL directly without the use of a client library, and each provide the capability to develop both Android and iOS applications. Visit Devart’s product download page to compare versions and download a trial version.